Roswell Lodge #165 was originally chartered in 1852. 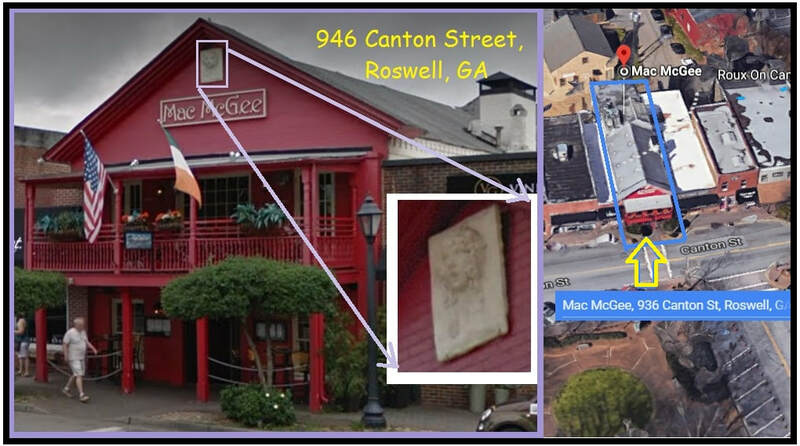 By the 1870s, the lodge resided in the building at 936 Canton Street, now occupied by Mac McGee Irish Pub. This is a cornerstone plaque from that building. ​The building at 1054 Alpharetta Street was originally constructed as the Roswell Methodist Church, on land donated by Barrington King in 1859. Once the church moved on to a new facility on Mimosa Boulevard, it had several lives, including as a car dealership and laundry, before becoming the home of Roswell Lodge in 1952. The original timber framing is still visible from the attic areas. This is truly a "they don't build them like that anymore" edifice.